This is pretty much your mobile bar. If you plan on going out and drinking it’s much more safe to get a party bus and not worry about drinking and driving. A detroit party bus only costs a fraction of how much a DUI will end up costing you, not to mention you and your friends can chip in. 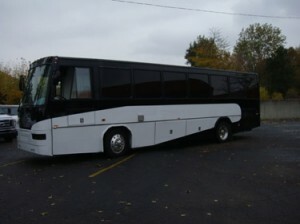 PartyBusDetroit.com has detroit party buses and Detroit Limo Buses to accomodate anywhere from 16 to 35 passengers. Rates start at only $75 per hour with the party bus gratuity included. All of the buses feature LED or fiber optic lighting to make the buses look more like a club. All seating is leather for comfort and style. They all have coolers with ice so you can bring your own drinks without worring about keeping them cold. And for music just bring a CD or iPod and plug it into the loud sound system. Call 248-630-5605 or visit PartyBusDetroit.com to reserve your Detroit party bus today.